I thought it was silly how the fitness center aboard the Jewel of the Seas was filling up with patrons during the embarkment process. To each their own. I purposely took off the holidays to give my body some much needed rest. I wasn’t counting calories either. On another note, it was cool how Royal Caribbean did offer the chance to help make a difference in someone’s life. I was able to participate in Wishes at Sea in which 100% of proceeds are donated to a child and their family for a special wish. We were given t-shirts and walked 1 mile around the ship’s track. There were about 20 people in total. Photo Disclaimer: I laughed at this photo as I browsed to upload it. Last day of cruise. Windy. ‘Nuff Said. 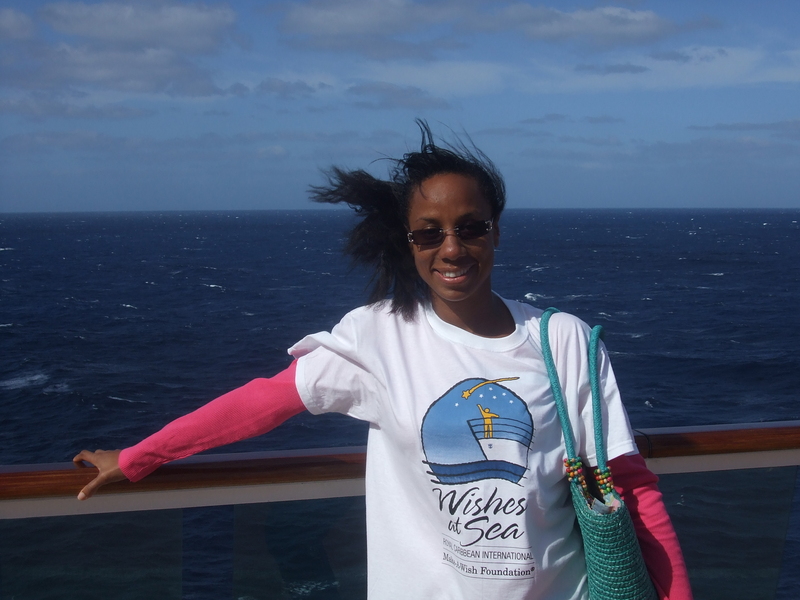 This entry was posted in Uncategorized and tagged Cruise, Make a wish foundation, Royal Caribbean, Wishes at Sea. Bookmark the permalink.